A proprietary algorithm stored on devices and in the Cloud that delivers a score to Cyber Acuity or to an external security API. All communication is encrypted end-to-end. Data is owned by the user and is only shared with permission. Data is never centrally stored. 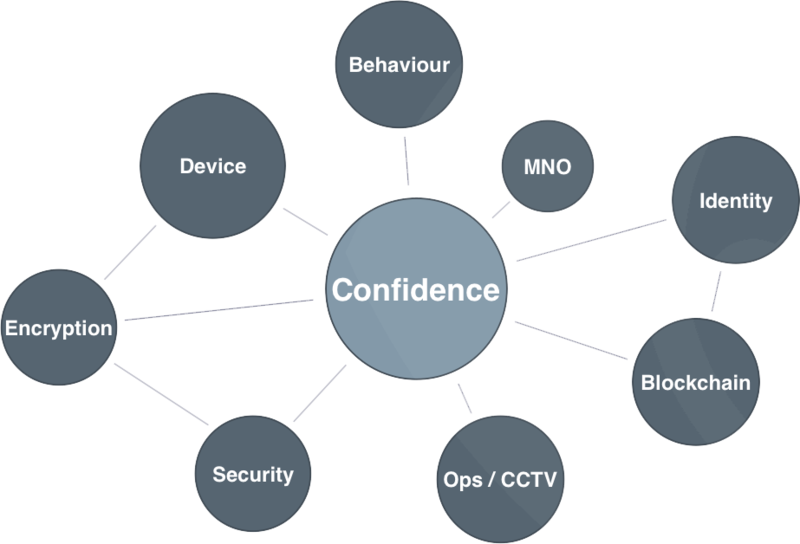 Venues can deliver a secure net, a virtual curtain up to 1km from the venue that detects known and unknown devices and pushes them into operational security systems.